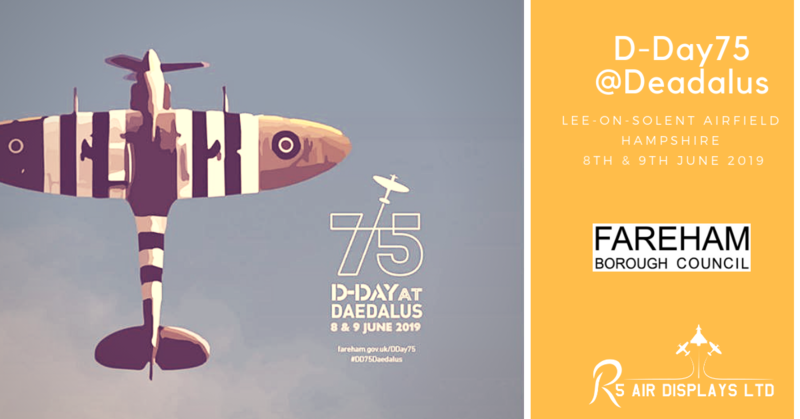 We are delighted to be able to announce that the event being staged by Fareham Borough Council at Solent Airport, Daedalus to commemorate the 75th anniversary of D-Day will now be held on Saturday 8th June and Sunday 9th June. Tickets are now available to purchase from Ferneham Hall at their box office or by calling 01329 231942. They can also be purchased from the Control Tower at Solent Airport. Free parking permits can be requested when buying tickets and will be issued on a first-come first-served basis.